We will listen carefully to your requirements and provide you with expert advice. We will not make promises we cannot keep, and we will be honest, truthful and up front with you at all times. We will communicate with you every step of the way to ensure you are always kept informed about what is happening. Whether it's replacing a tap washer or fitting a new bathroom suite we promise our customers the same high standard of service that our reputation has been built on. All work that is undertaken is guaranteed. We will always be reliable and ensure we show up on time. If there are ever any queries or problems, our priority will be to resolve them in the shortest time possible and with the least inconvenience to you. New York home owners and businesses call on Whitestone for all their plumbing needs. From toilet repair or new faucet installation to a bathroom remodel or water line repairs, you, too, can rely on Mermaid Plumbing Heating and Cooling. We serve homeowners and businesses in the New York area. 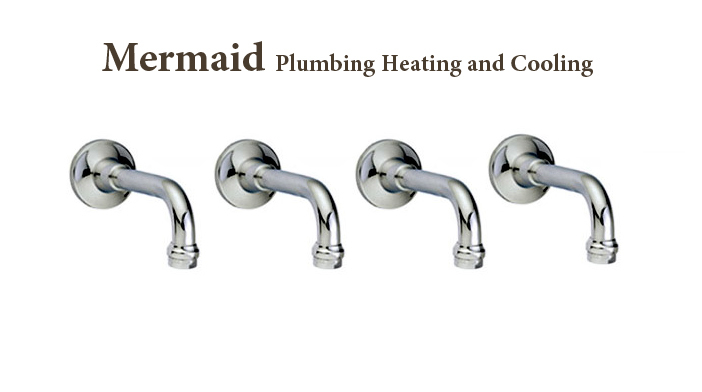 Mermaid Plumbing Heating and Cooling is one place to call for all your plumbing needs. Remember ... We charge by the job...not the hour, so you know what it costs before we start!